The miao dao, the grain leaf sabre, has ancient origins. It's history is a subject of debate among some scholars and sword enthusiasts but all agree that it's "modern" popularity began in the mid-16th century with General Qi Jiguang who armed his troops with these to combat pirates raiding coastal cities. After victory over the pirates, miao dao remained useful as the invincible Qi army battled other more conventional enemies of the Ming Empire. 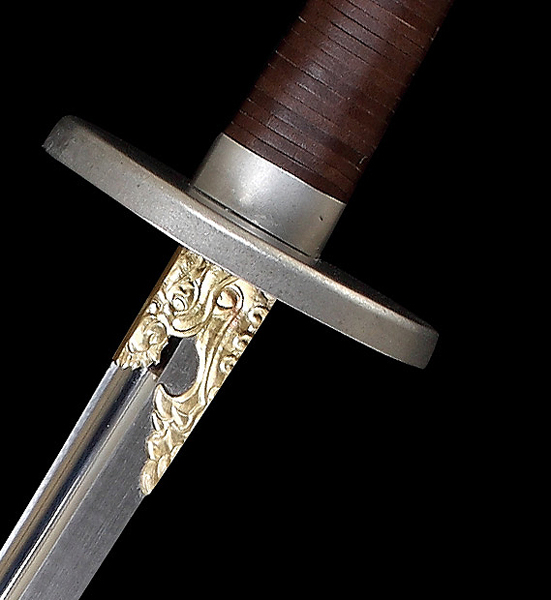 These swords were highly coveted in their day, and handling one now will show you why. 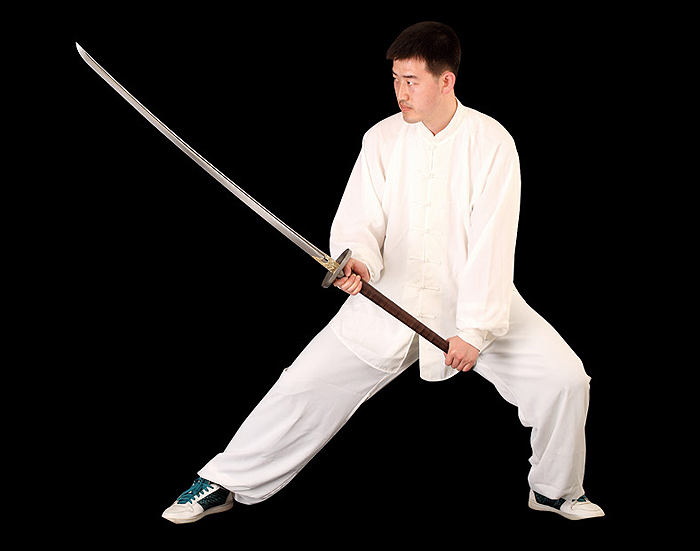 Made by Dragon King, this sword features a 5160 high carbon steel blade balanced by an 18" hilt, and overall is a 4' 9" long. The hilt is a leather wrapped wood core with a brushed stainless steel guard and pommel. The 34" blade emerges from a dragon's head collar. The brown lacquered scabbard has stainless steel fittings.